When will be Operation People Power with Dave Myers next episode air date? Is Operation People Power with Dave Myers renewed or cancelled? Where to countdown Operation People Power with Dave Myers air dates? Is Operation People Power with Dave Myers worth watching? 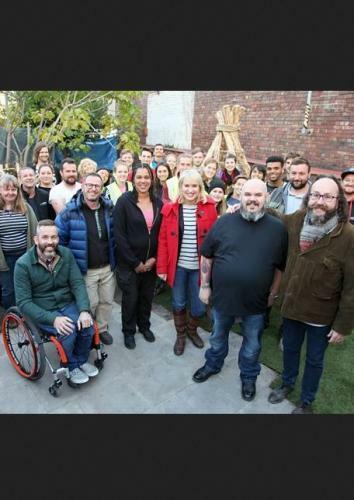 Dave Myers assembles a team of celebrities on a mission to find out just what can be achieved when volunteers come together to help others in need. One in three already people volunteer in the UK and Dave draws upon that spirit of getting involved to help community projects. Dave meets volunteers and those that benefit from the help of others . Dave calls on the help of Nicki Chapman (Wanted Down Under, Escape to the Country), Mark Millar (DIY SOS), Martyn Ashton (a biking legend turned motivator who suffered a crash which left him paralysed) and Juliet Sargent (Tanzanian born Gold Winner at the RHS Chelsea Flower Show 2016), to muster an army of volunteers to help those, who help others. Britain meets Eunice. After losing her husband earlier this year, Eunice finds she has very few friends and feels lonely for most of her day. Dave meets up with charities which encourage elderly citizens to sing, dance and have fun. Dave's presenting team muster a squad of volunteers to put a smile back on to Eunice's face. Dave visits a volunteer run adventure playground and discovers that as well as providing a fantastic place for kids to play, it also plays a significant role in the lives of parents. In particular he meets Asher, who reveals how the playground essentially changed her life as she started to build her confidence when first moving to the area. Dave summons his team to renovate the area used by under-fives. Dave meets Darren and Daniel. Both are recovering from addictions and are supported by a charity run café in Bristol. Dave is touched by their stories so tasks his army of helpers to help the café clear and renovate a yard space to allow it to serve and help more people. Operation People Power with Dave Myers next episode air date provides TVMaze for you. EpisoDate.com is your TV show guide to Countdown Operation People Power with Dave Myers Episode Air Dates and to stay in touch with Operation People Power with Dave Myers next episode Air Date and your others favorite TV Shows. Add the shows you like to a "Watchlist" and let the site take it from there.